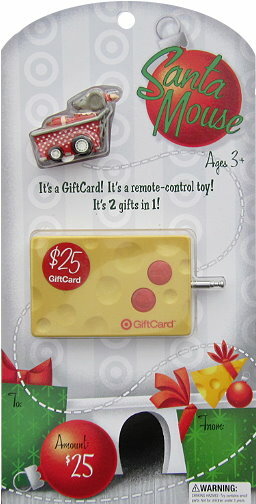 This gift card is so cute! I already like totally target, and have just recently learned how to master Target through your site. Thanks again for another giveaway! I love Target and love this site!!! Thanks for all of your hard work on this site! I have been a fan on facebook for a while!! And I like on Facebook already! Totally Target has helped me get sooo many deals this Christmas season!!! Thanks for all you do!!! Love your site and all your money saving ideas! How cute is that Santa Mouse! Would love to have the Santa Mouse to help spend!! I love your giveaways !! I already “LIKE” totally target on FB !! I love this blog! I’ve caught so many awesome deals thanks to you! Thanks for all the saving tips! Just liked you over on Facebook!